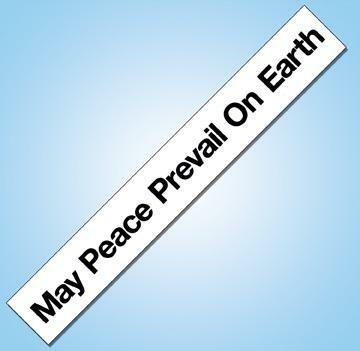 17" Vinyl Sticker with the WPPS message, May Peace Prevail on Earth. Black lettering on white backgound. Available in: English, French, Korean, Hebrew. Not recommended for use as a "bumper sticker."